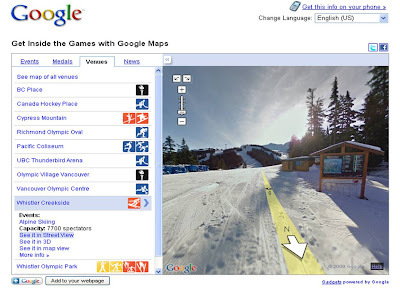 Google Maps have created a special series of 'Favorite Places' for the Vancouver Winter Olympics. 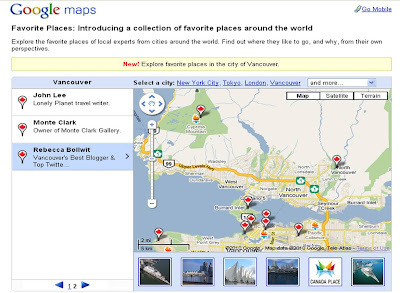 Google Maps feature the Vancouver choices of a range of different people - from medalists to the Premier of British Columbia. 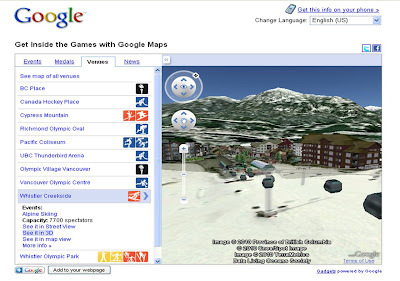 A really nice selection of Google tools and features that can be used to enhance the experience of the 2010 Winter Olympics. 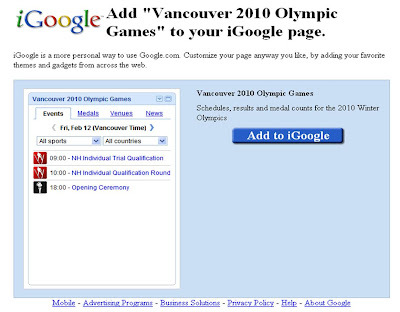 Details of these and further Google Olympics offerings (eg YouTube, real time search and Picassa) can be found at the Google Olympics site at www.google.com/games10, the Official Google blog here or the Google LatLong blog here.